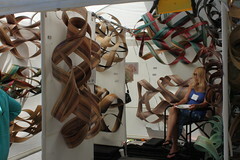 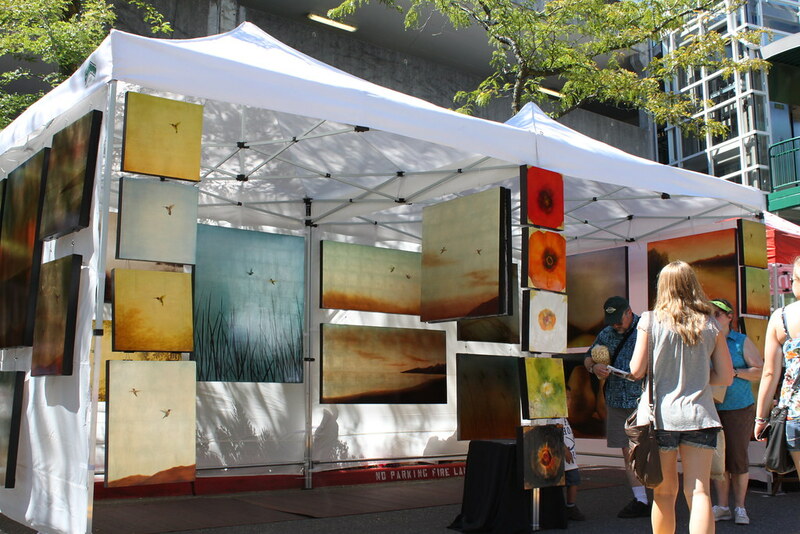 Each year arts, crafts and community come together for their biggest celebration at the Bellevue Arts Festival Weekend, held this year on July 23-25, 2010. 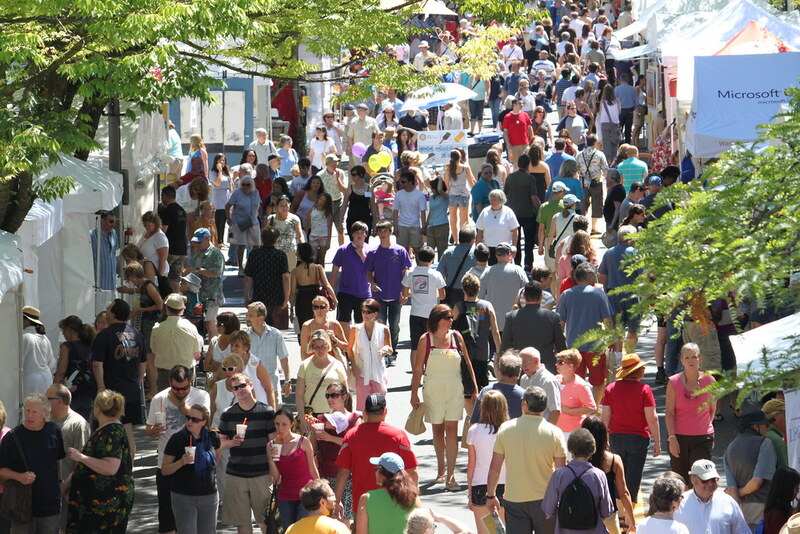 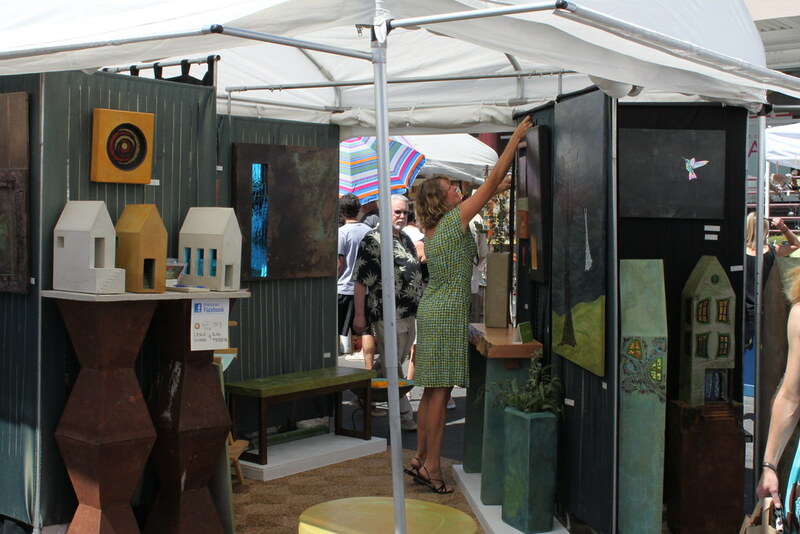 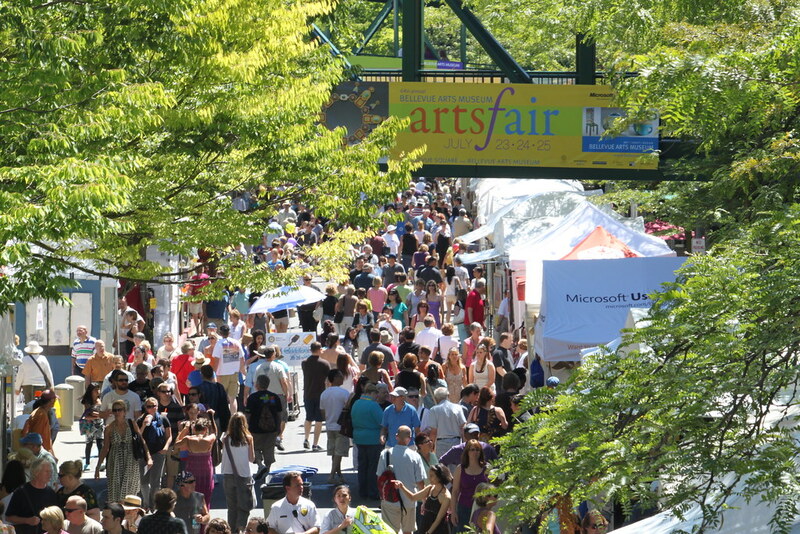 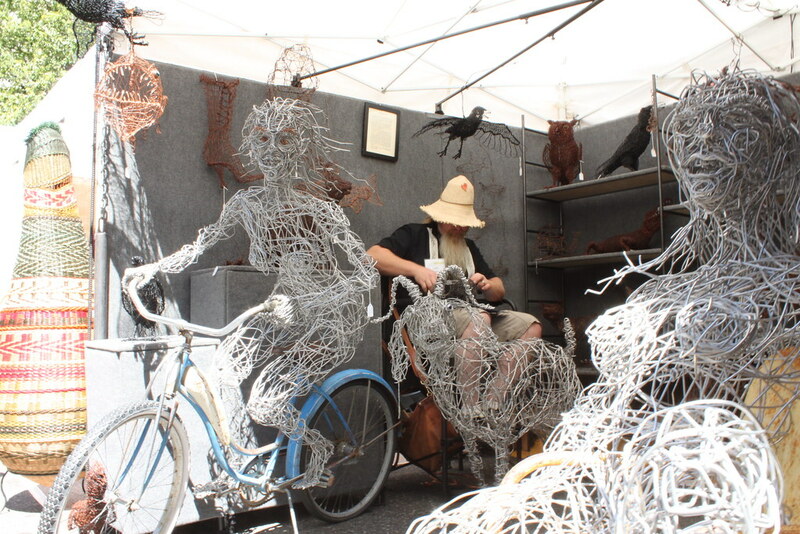 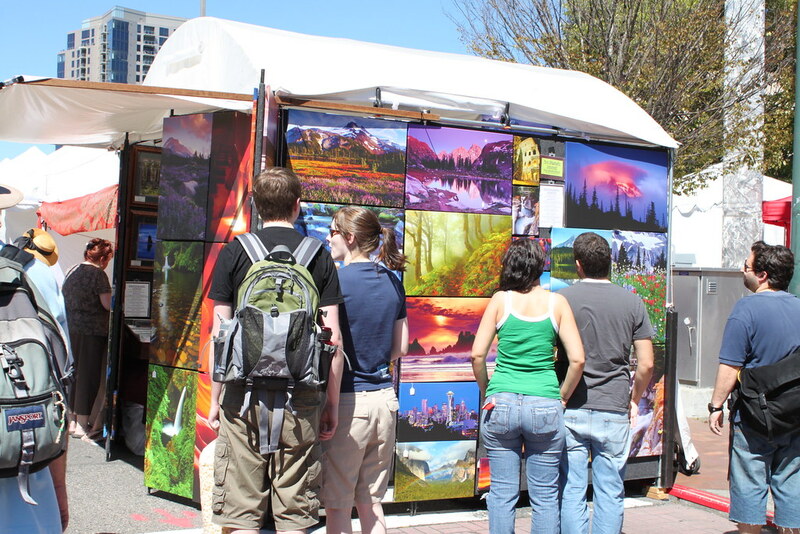 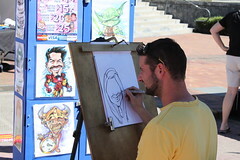 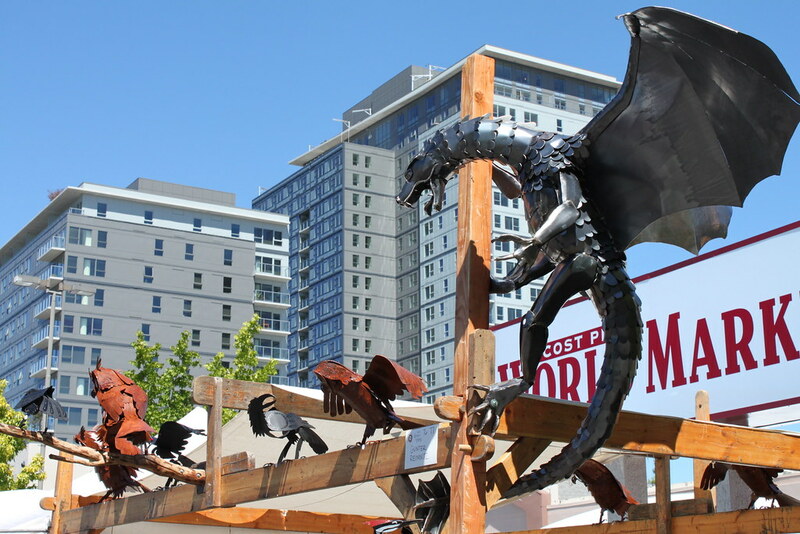 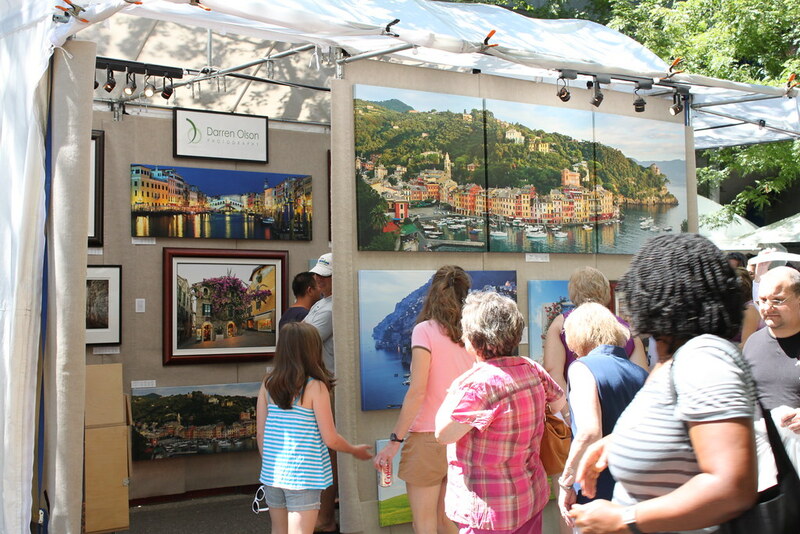 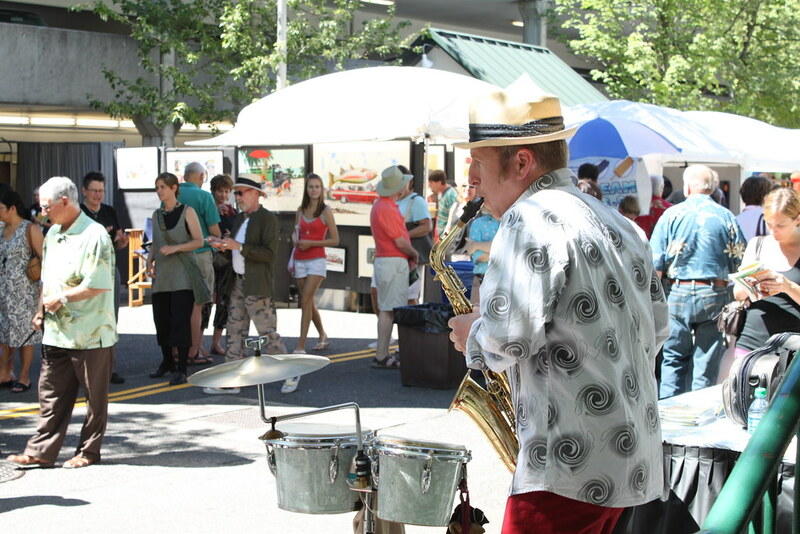 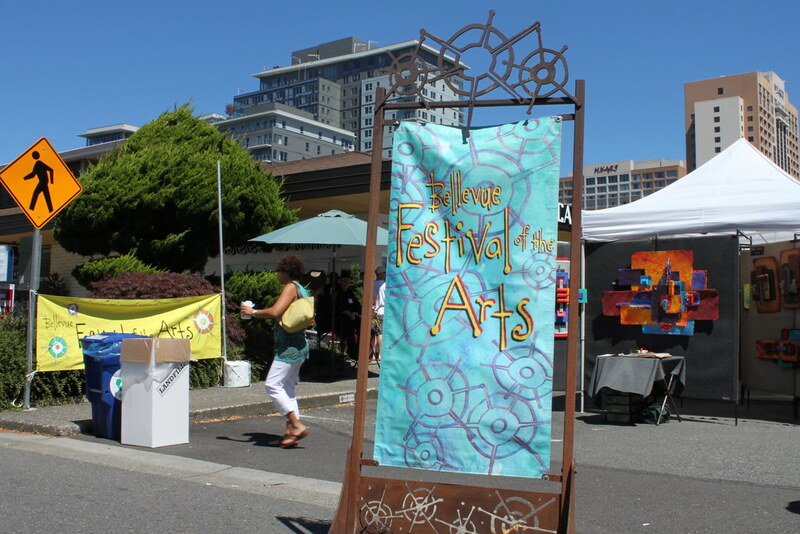 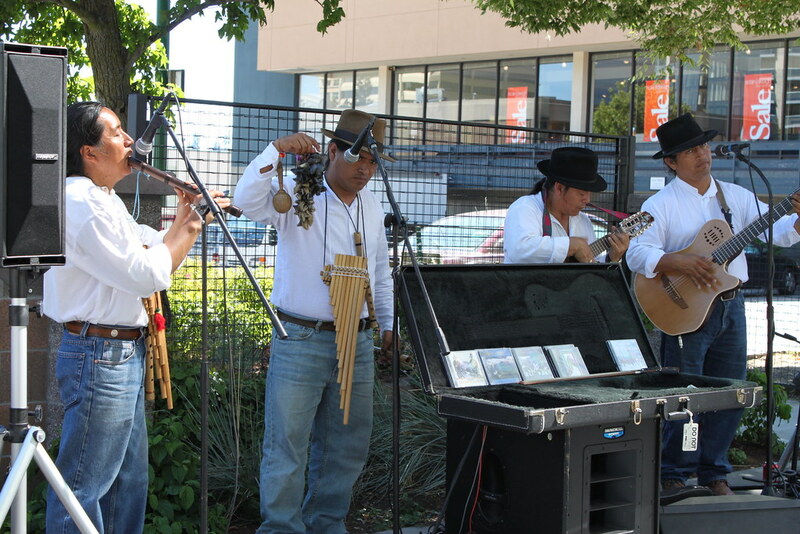 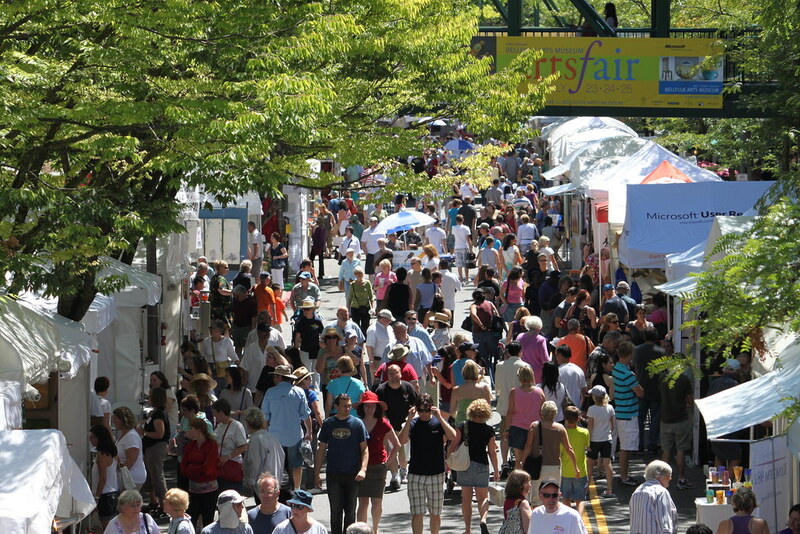 The Bellevue Arts Festival, which include a trio of arts events (Bellevue Festival of the Arts, 6th Street Fair and Bellevue Arts Museum artsfair), is one of the largest arts festivals in the Pacific Northwest and the most anticipated festivals of the year. 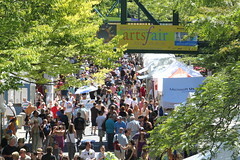 The event draws more than 300,000 goers over the 3-day festival each year. 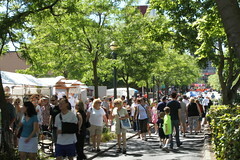 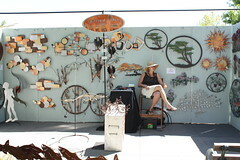 By our estimation, this year is no exception especially with the glorious weather that graced Bellevue over the weekend. 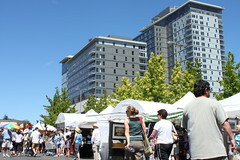 Bellevue.com took to the streets of the Bellevue Arts Festival on Saturday July 24. 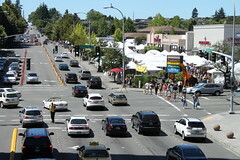 And OMG, we haven't never seen this many people at one time in Bellevue. 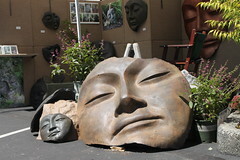 Here are some photos we took along the way. 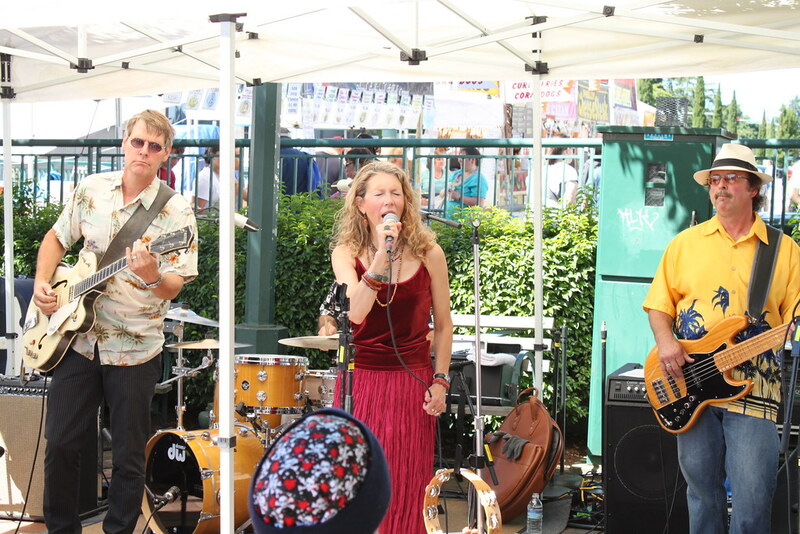 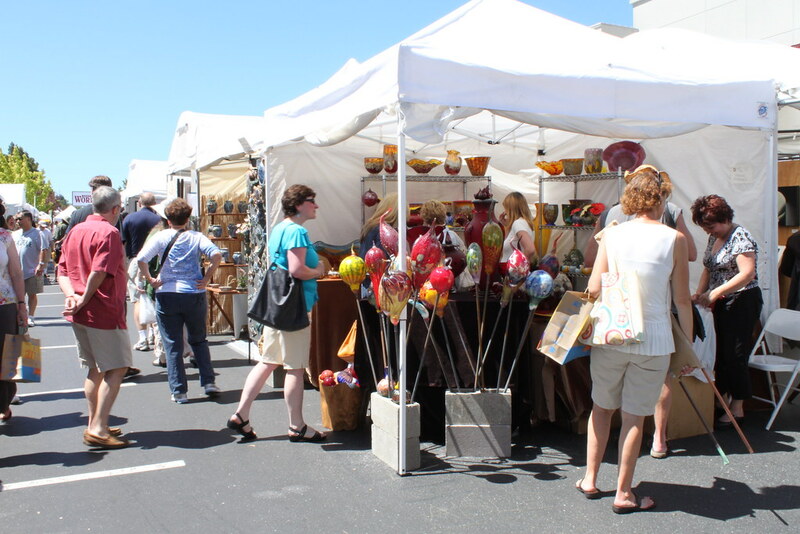 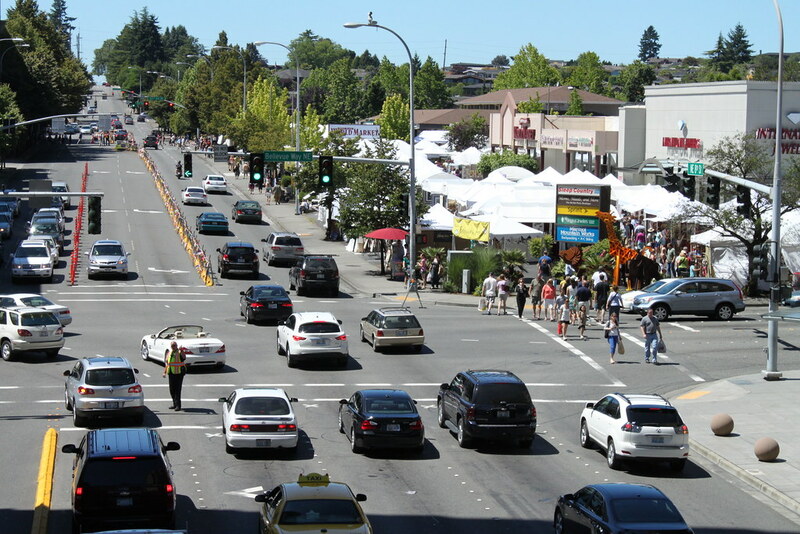 We started out at the Bellevue Festival of the Arts, which begins at Bellevue Way and runs west along NE 8th Street through the Cost Plus World Market lot and ends at See's Candies on 102nd Ave NE. 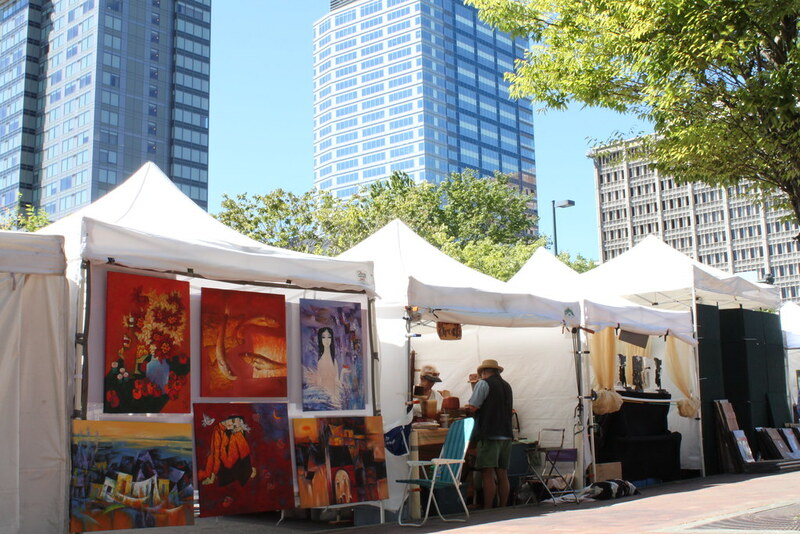 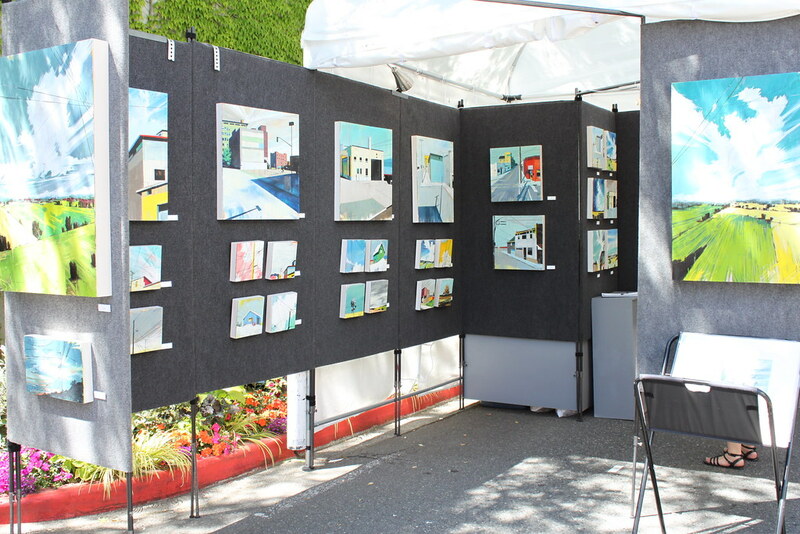 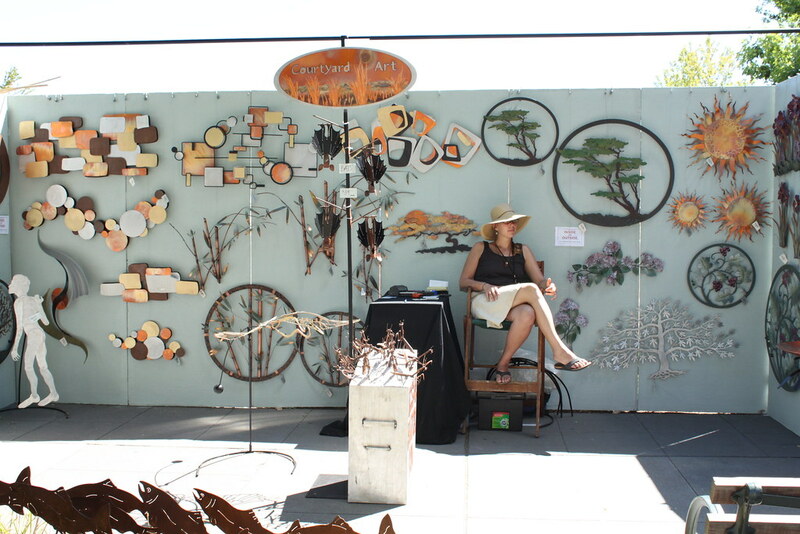 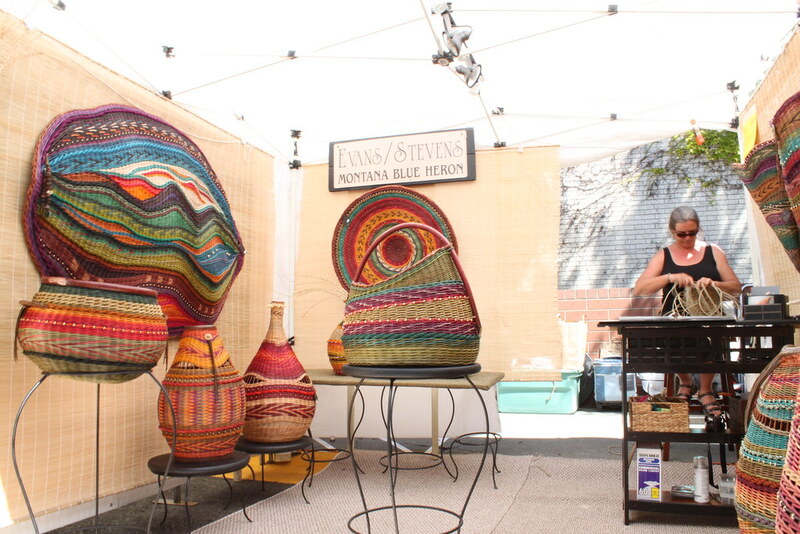 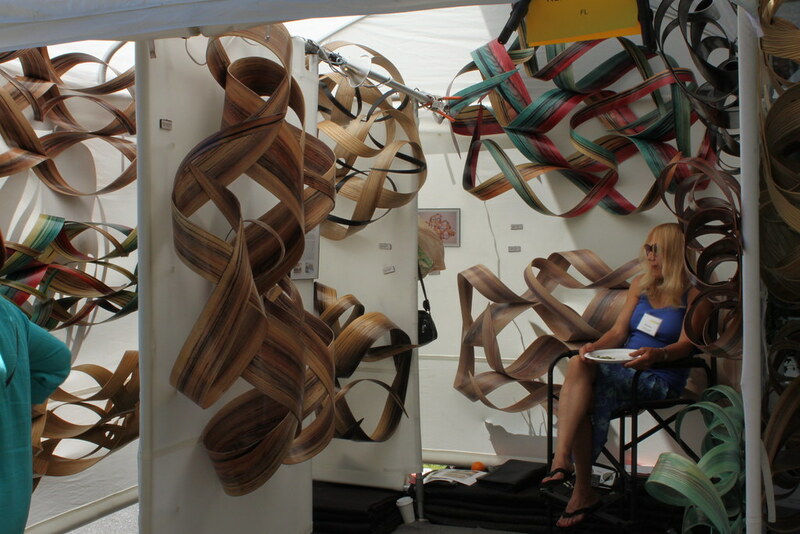 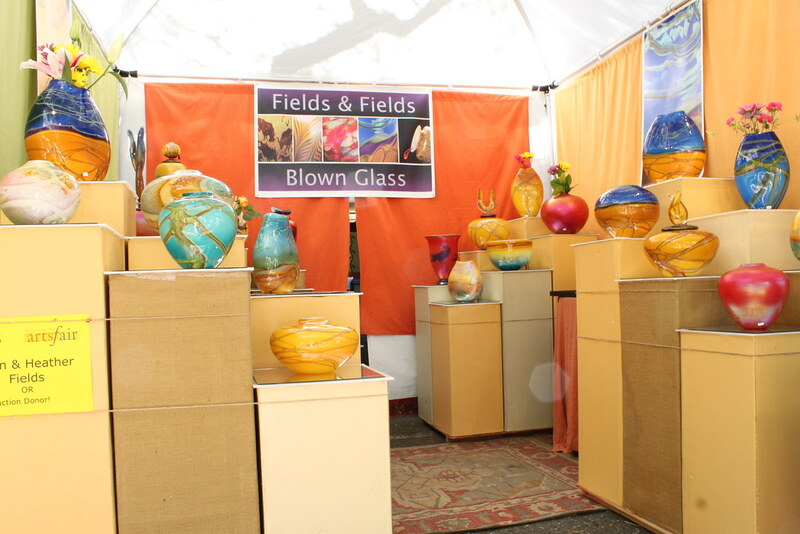 In its 26th year, the Bellevue Festival of the Arts, produced by the Craft Cooperative of the Northwest, offers the highest quality art and craft selected by an exacting jury. 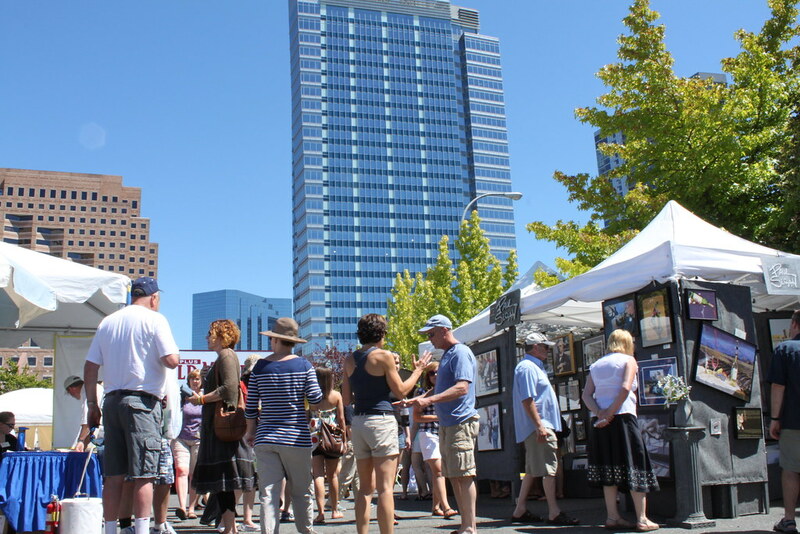 Next, we headed over to BAM artsfair, which starts on West Drive (at NE 8th Street) and runs along the west side of Nordstrom and Bellevue Square and ends just before reaching JC Penny. 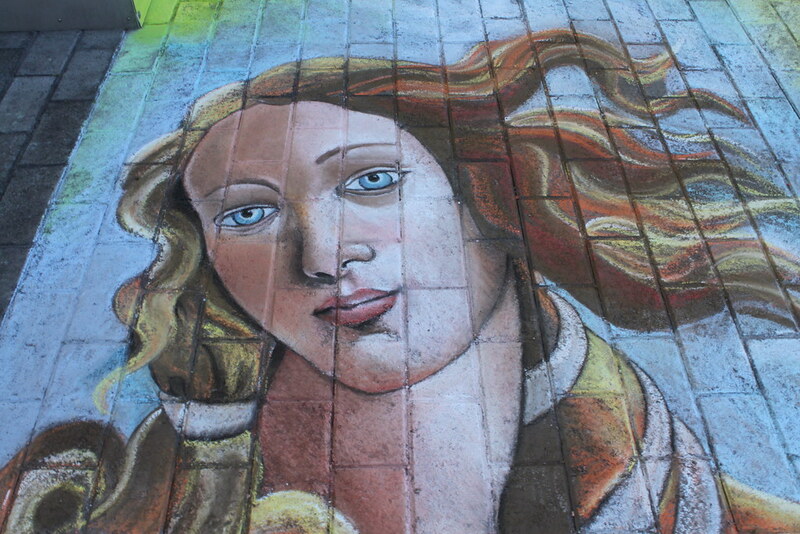 The fair picks up again in front of the Bellevue Arts Museum at NE 6th Street and Bellevue Way, where artist Brian Major adorned the museum's entrance with a chalk mural of Botticelli's "The Birth of Venus" and Picasso's "Girl Before a Mirror" to celebrate his 10th anniversary at the BAM artsfair. 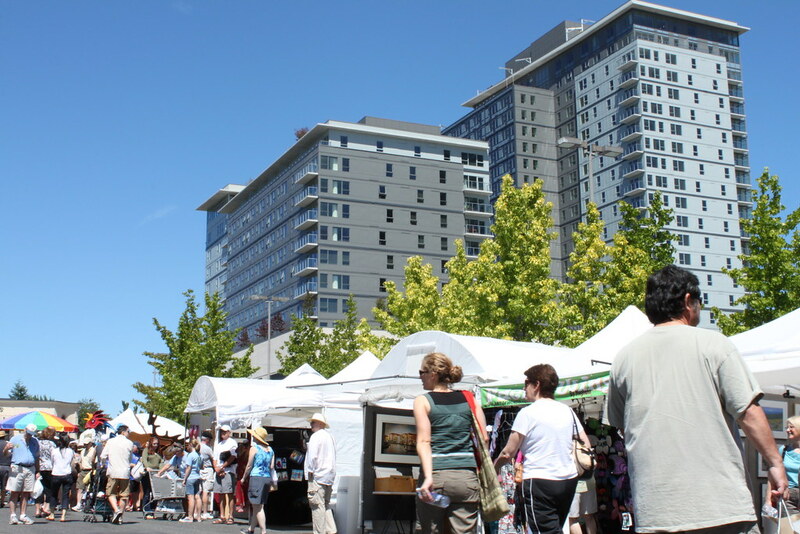 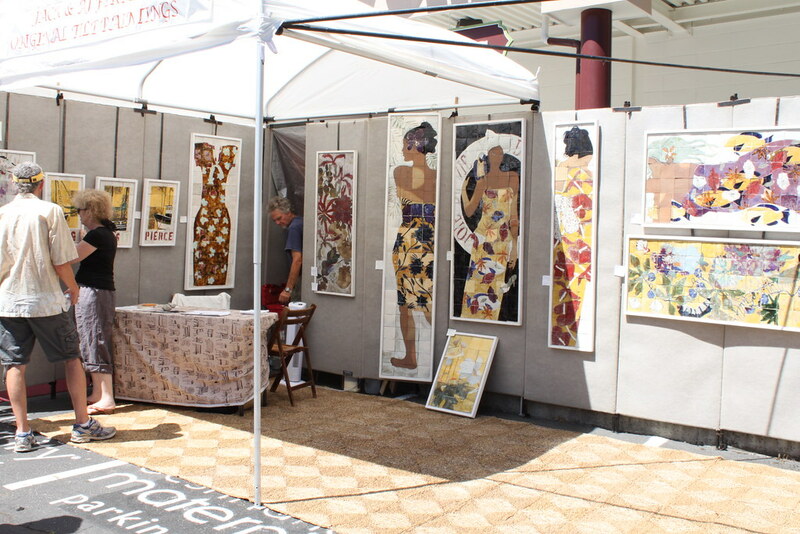 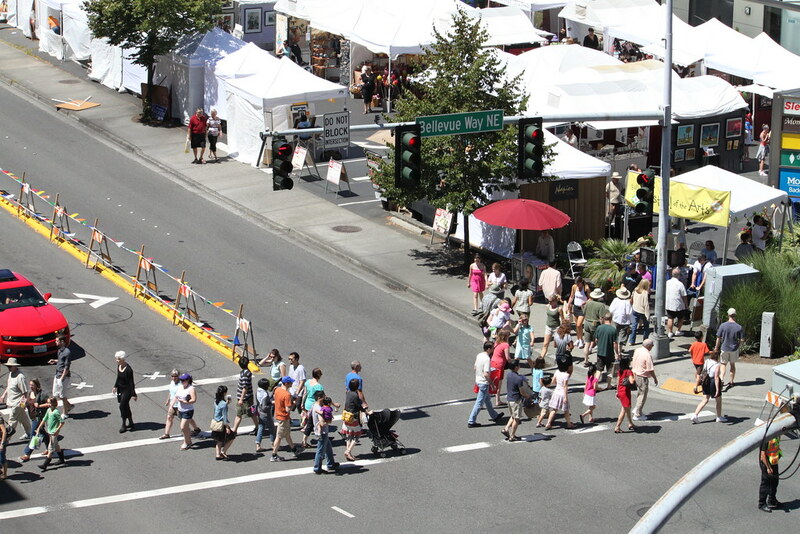 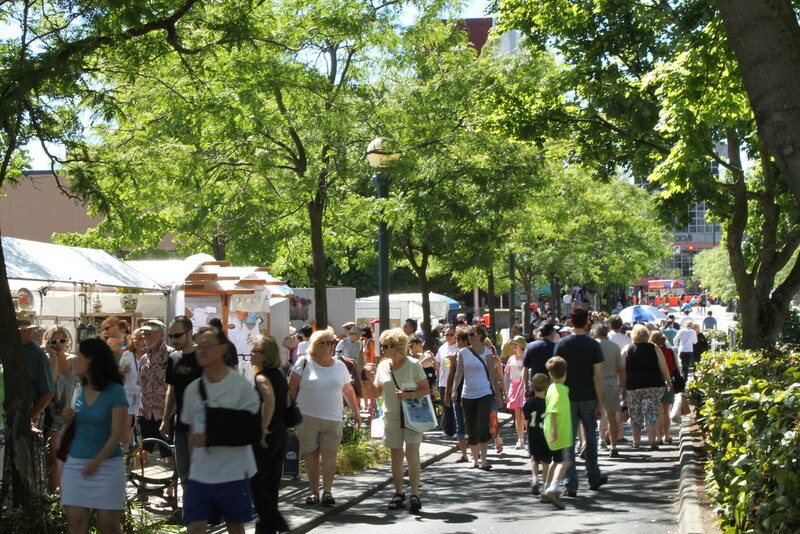 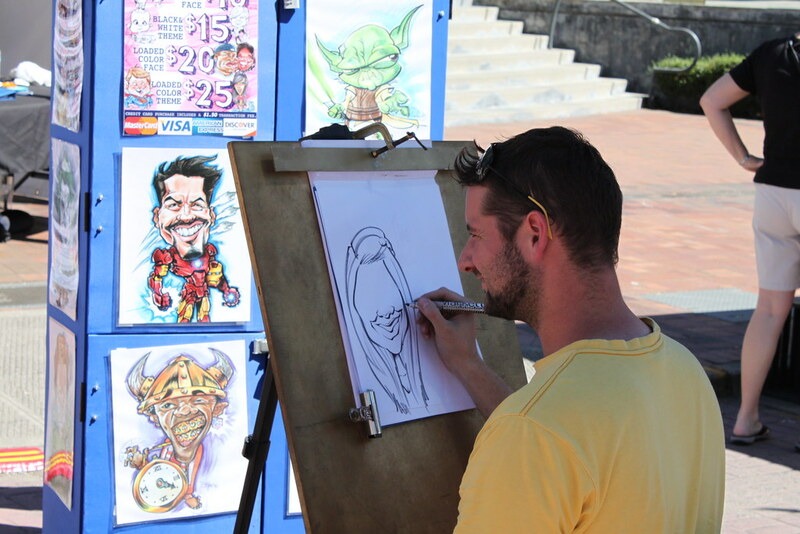 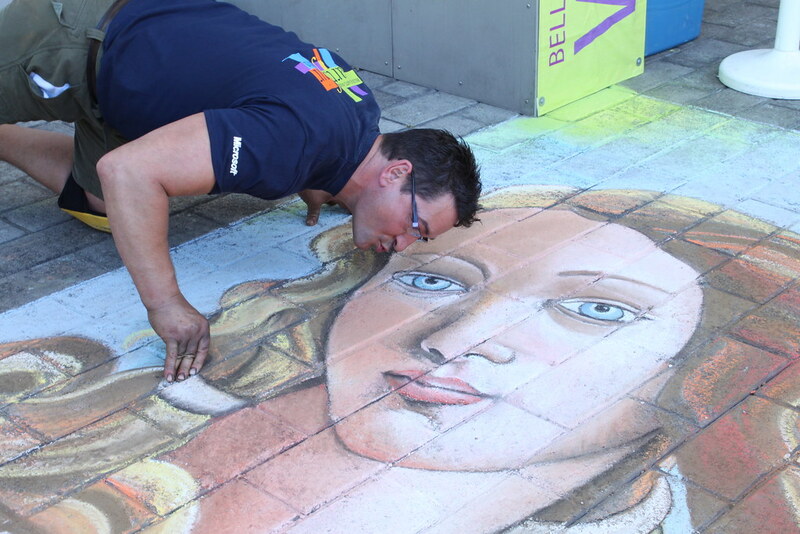 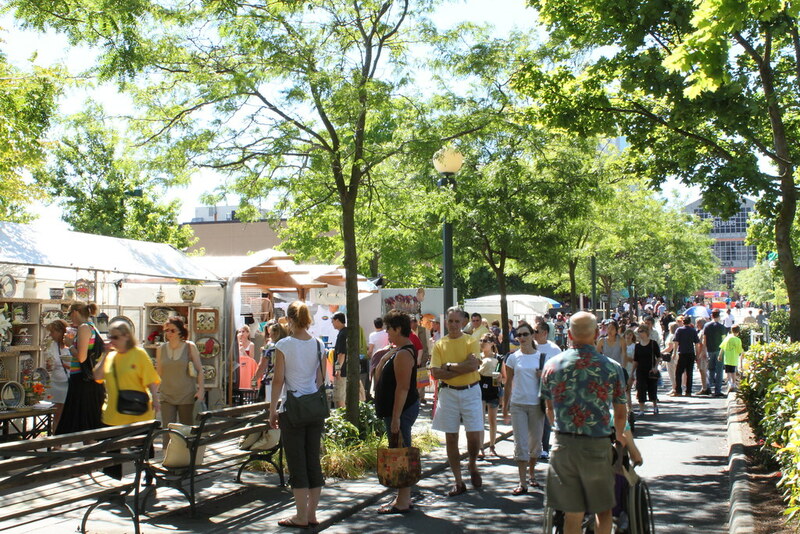 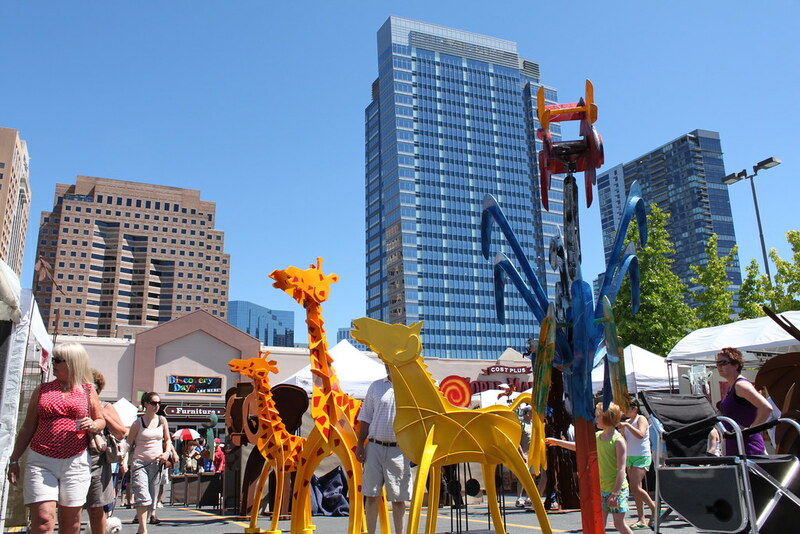 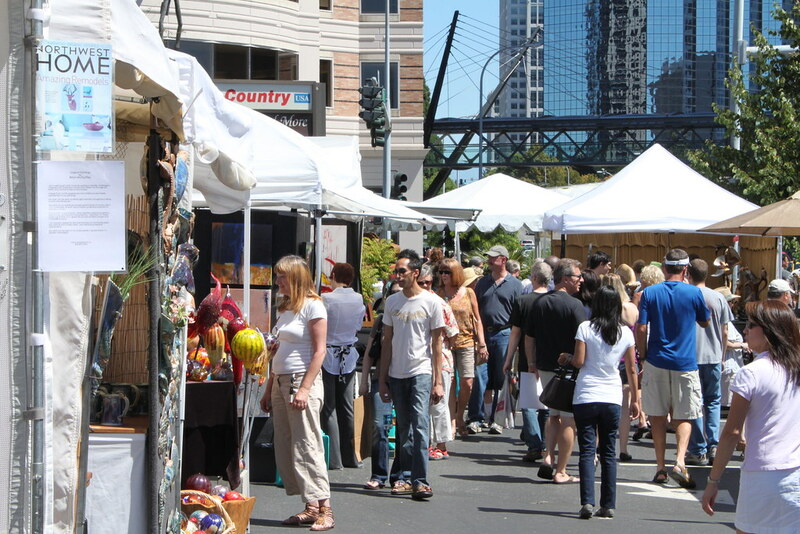 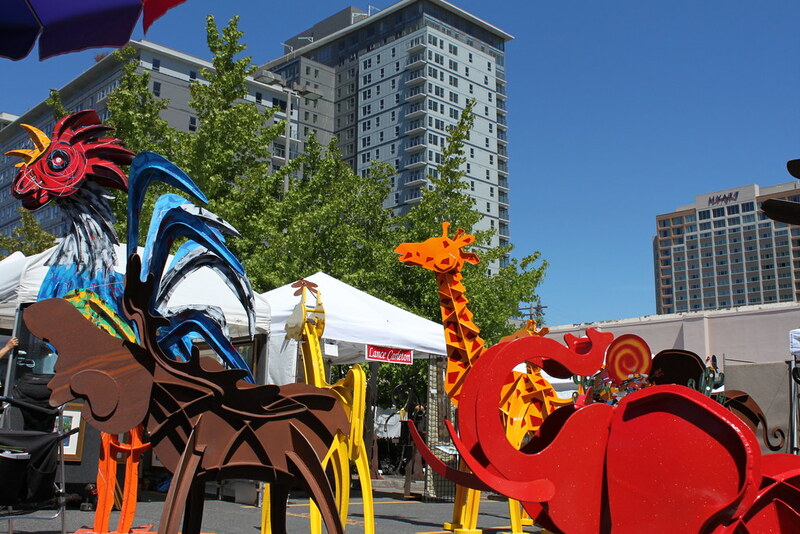 The last leg of the Bellevue art road is the 6th Street Fair, which starts at the beginning of the pedestrian corridor on NE 6th Street and runs pass 106th Ave NE and through Bellevue Galleria plaza and ends just before Chantanee Thai Restaurant.